« And doing a reading at Canterbury University at 6pm on the 29th. 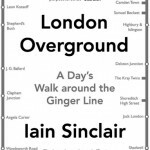 This pre-launch event celebrates Unlicensed Preaching: A Life Unpacked In 70 Films – the book documenting Iain Sinclair’s 70×70 film season (his selection of 70 films to mark his 70th year). 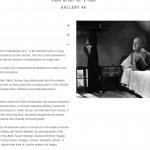 Published on 23 October 2014, this is an advance opportunity to get your copy of a radically inventive and deftly realised furtherance of Sinclair’s monumental film curation. Contributors include Alan Moore, Chris Petit, Colin MacCabe, Barrie Keeffe, Gareth Evans and Andrew Kötting. 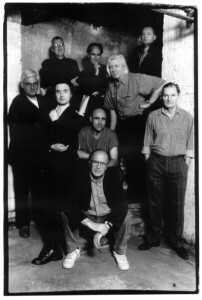 To observe the occasion, recently unearthed never-before-seen footage will be screened from Subversion In The Street Of Shame, a convocation of London’s literary underground held over three days in 1994 at the Bridewell Theatre, off London’s Fleet Street. It documents the last public readings of Robin Cook/Derek Raymond and Kathy Acker, as well as the very first ‘Moon and Serpent’ performance by Alan Moore; other performers include Sinclair, Chris Petit, Brian Catling, John Healy and Stewart Home. Petit and Sinclair will be present to add their unique memories of the event. Following this will be a rare screening of Marine Court Rendezvous(directed by Chris Petit/Iain Sinclair; soundtrack by Susan Stenger).Originally presented in 2008 in London’s Sketch Gallery as a 12-channel video installation, Marine Court Rendezvous comprises a series of documentary-fictions shot in and around Marine Court, St Leonards-on-Sea – a 1930s crumbling modernist building in the style of a Cunard luxury liner. In essence ‘a film that was never made’, it creates a half-world of intertwined narratives, combining fragments of new footage with exiled characters and disembodied voices from diverse cinematic sources. When presented as a grid of surveillance-camera images rather than on 12 separate screens, it echoes Marine Court’s array of windows while peering voyeuristically inward and gazing wistfully outward. Petit, Sinclair and Stenger will speak about the making of Marine Court Rendezvous before the screening. Street of Shame and Marine Court will be preceded by the three minute short Iain Sinclair: 70, 16mm footage taken by Stanley Schtinter and Susu Laroche on the morning of Sinclair’s 70th birthday. Seven frames from the original negative of this film will be included in each book on the night.